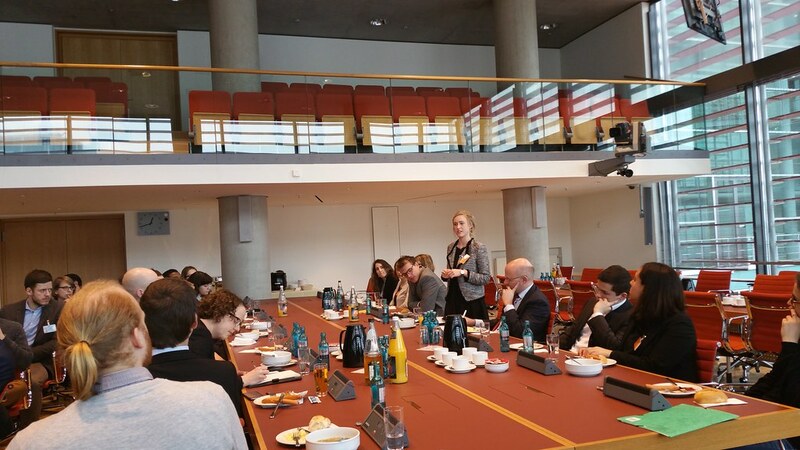 Atlantic Expedition Fellows held a conversation while sharing lunch with Bundestag staffers on March 2nd, 2017. 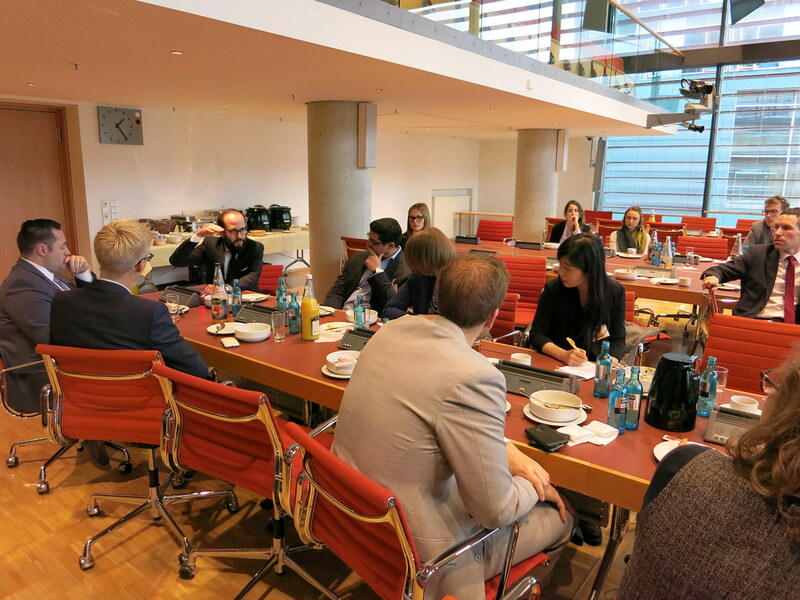 The conversation was held in Bundestag offices close to the Reichstag in Berlin. 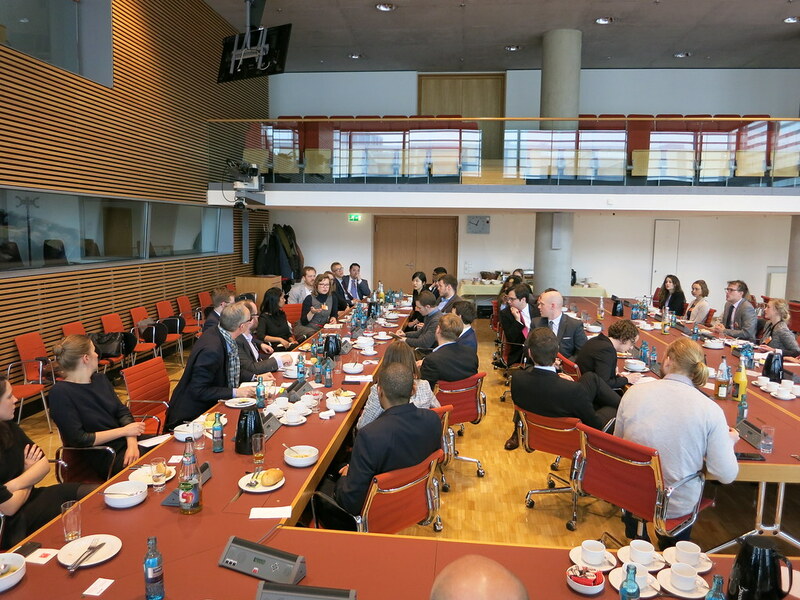 The topics of discussion centered on two working groups within the expedition, the first technology and innovation, and the other was development, migration and integration. 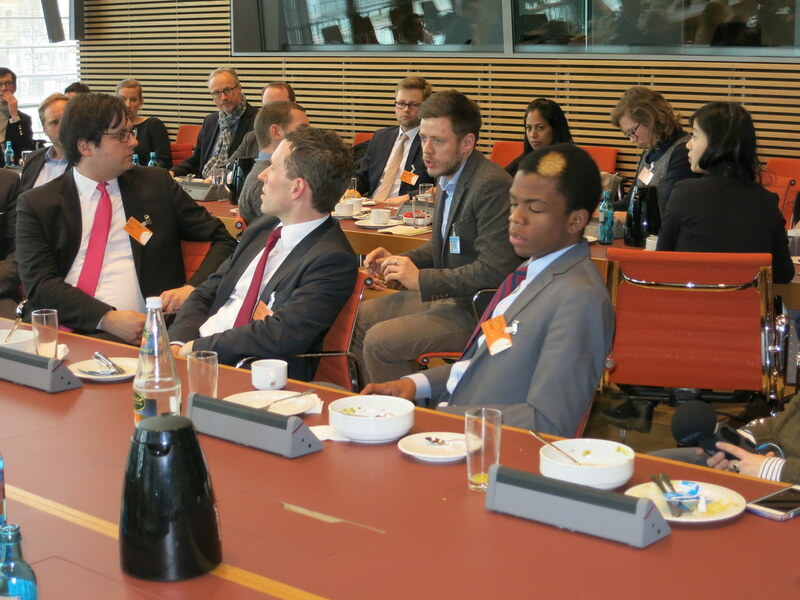 The discussion was moderated by Henning Speck, chief of staff for Jürgen Hardt, Germany’s Coordinator for Transatlantic Cooperation. 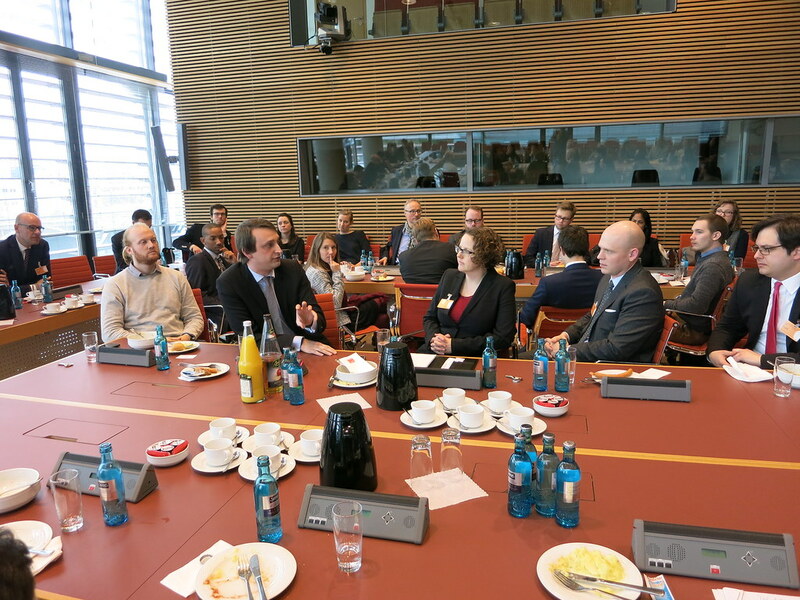 Mr. Speck began the conversation emphasizing the importance of exchange programs, especially among future leaders, for the durability of transatlantic relations. 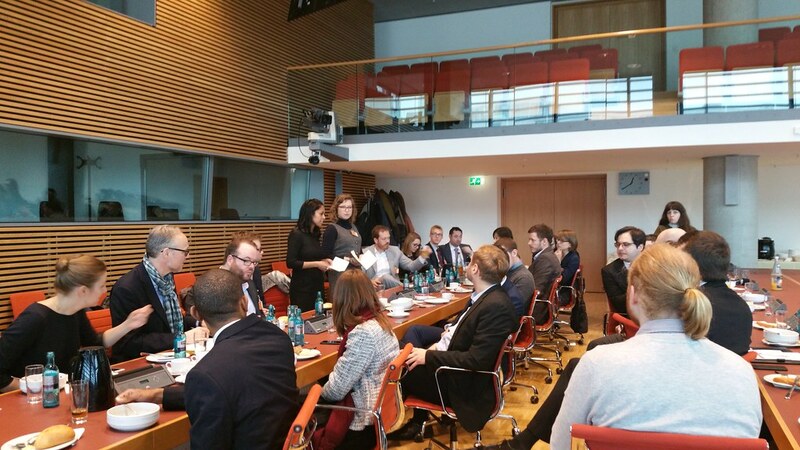 Bundestag staffers were dispersed among fellows, having individual conversations before joining together. All major German political parties were represented, most prominently the Christian Democrats and the Social Democrats. 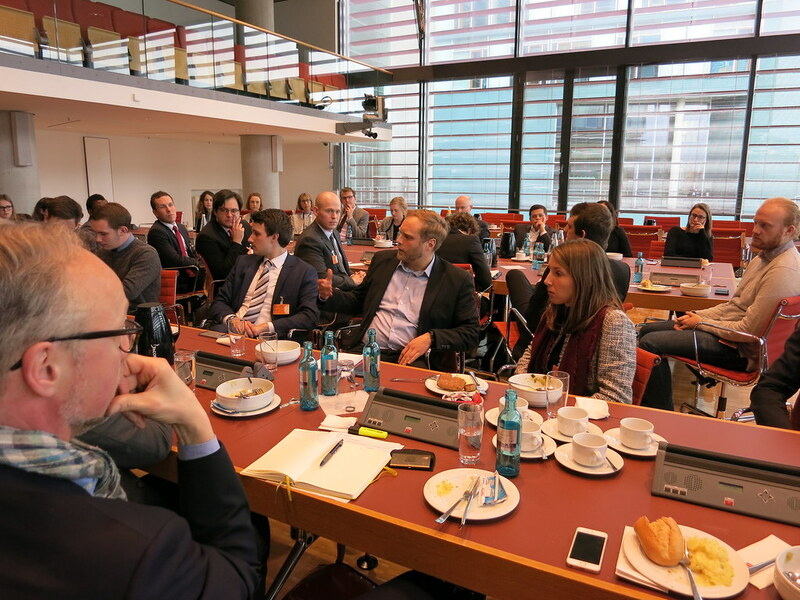 This included Dr. Julian Voje (security and digital agenda policy staffer for Andreas Nick), Jacob Schrot (staffer for Patrick Senseburg), Johannes von Ahlefeldt (SPD consultant on surveillance in foreign intelligence), Stephan Liening (CDU consultant on the technology agenda), Michael Vorländer (CDU consultant on education and research), Shelley Oberer (staffer for Alexandra Dinges-Dierig), Fried Heye-Allers (staffer for Marian Wendt), Christine Hegenbart (staffer for Julia Obermeier), Michael Hack (staffer for Omid Nouripour), Julia Clajus (staffer for Edelgard Buhlmann) Torsten Menzel, chief of staff for Josip Juratovic), and Angelika Pendzich-von Winter, LL.M. 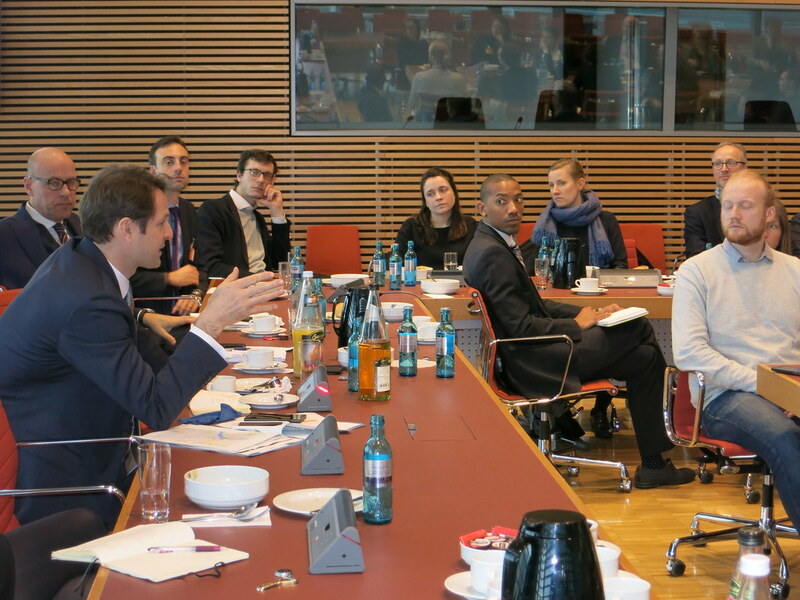 The discussion started with Nina Maturu and Julia Schütze proposing greater practical utility for Sister Cities of the United States and Germany to test and develop technology. Most staffers supported this idea but reminded fellows of Germany’s overall reluctance in engage in new technologies that potentially invade privacy. For example, as opposed to the United States, where there is intense competition to develop private drone technology, most Germans would be unsettled by seeing drones within their borders. Next, Jiayi Zhou presented her working group’s thesis that greater coordination of development aid between the US and European Union was workable and a money-saving measure. 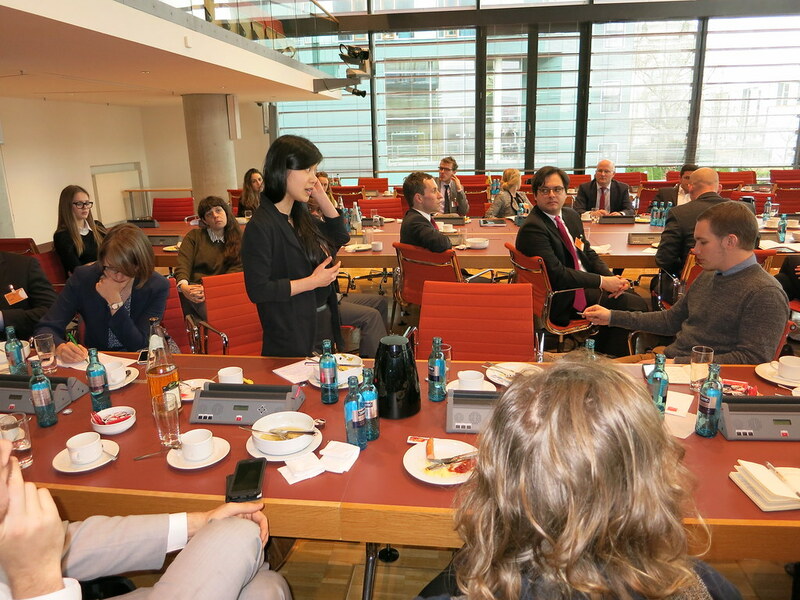 She also proposed municipal and state governments of the US and Germany sharing best practices and policies for effective integration of immigrants. 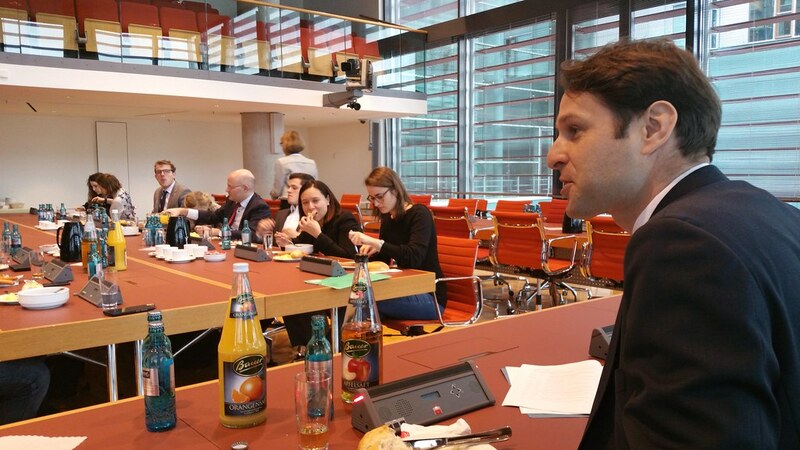 Overall, the Bundestag staffers were more interested in stating their position on development aid than integration in Germany. Development policy also generated disagreement between the officials. Some supported legislation for a modern Marshall Plan for Africa with a focus on humanitarian projects, while others believed Europe should ensure development projects are mutually beneficial, much like Chinese foreign investment policy. Multiple staffers, from different parties, expressed concern about the United States missing a comprehensive strategy for security and development in Africa. While African instability causes numerous problems for Europe, the staffers believe more work is needed to convince the United States that African stability is essential for international security. Michael David Harris is a Civil Affairs Specialist for the US Army Reserve. He also instructs high school students on debating foreign policy in Chicago, IL.